Vintage British Indian Old Postcard. 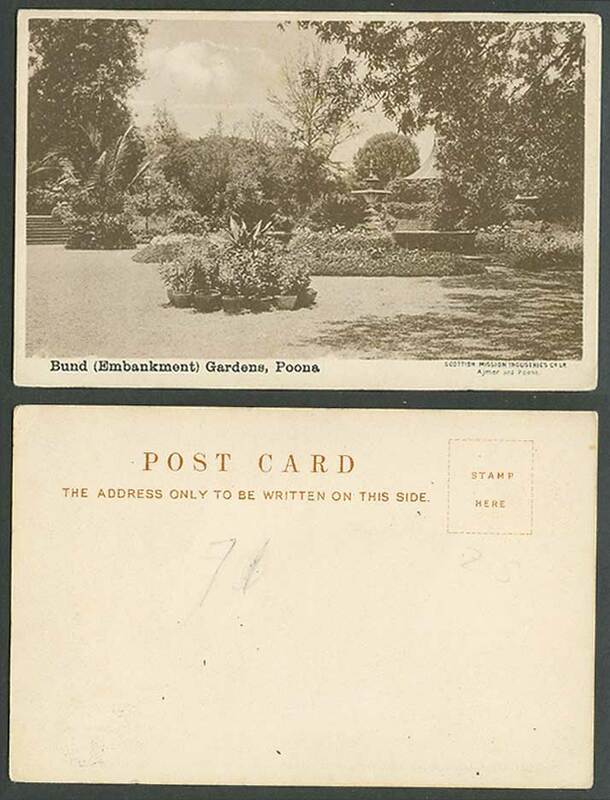 India, Bund (Embankment) Gardens, Poona Pune, Fountain, Garden. Background: Pune (Marathi: पुणे), is a city located in the western Indian state of Maharashtra. Capital of Pune District and the 8th largest urban agglomeration in India.